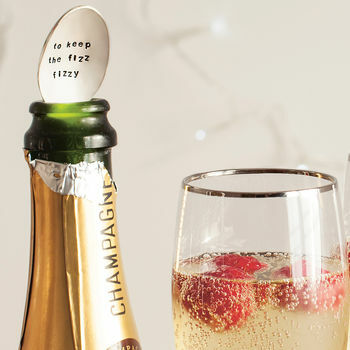 The 'NotOnTheHighStreet' original Champagne spoon with either ’to keep the fizz fizzy’ or 'to keep the bubbly bubbly' on the spoon face. 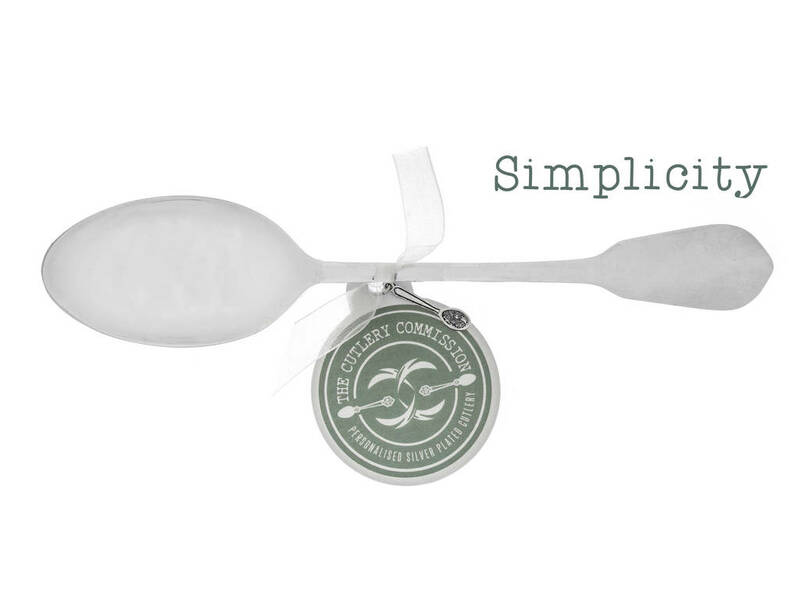 If you would like to add your own words to the spoon, please see our personalised teaspoon and you can have up to 42 characters as your message. 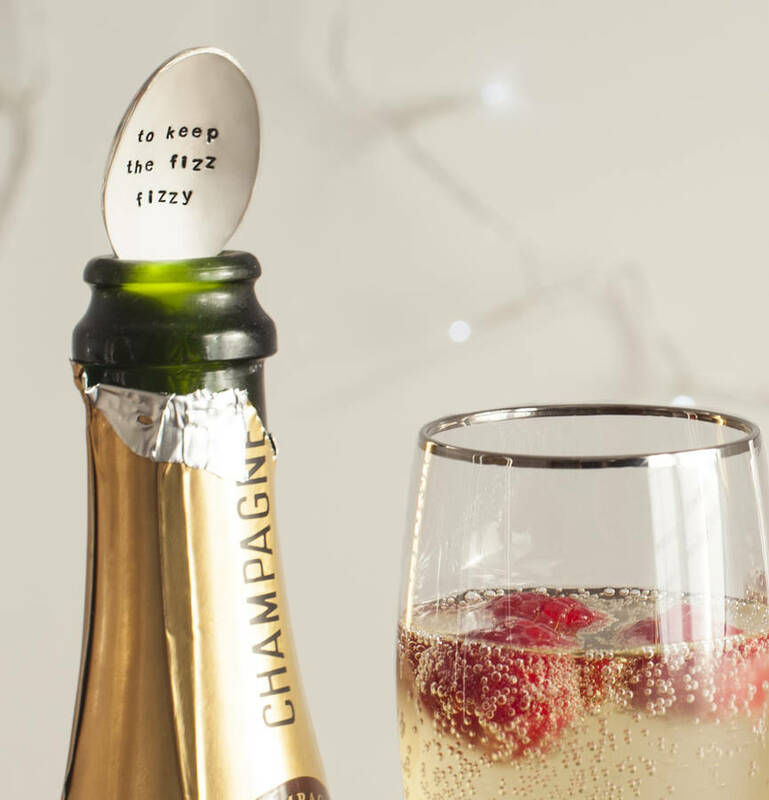 A great gift for someone who has everything…..well almost!! This gorgeous silver plated teaspoon is the perfect accessory for all those half drunk bottles of bubbly! Handle styles vary. 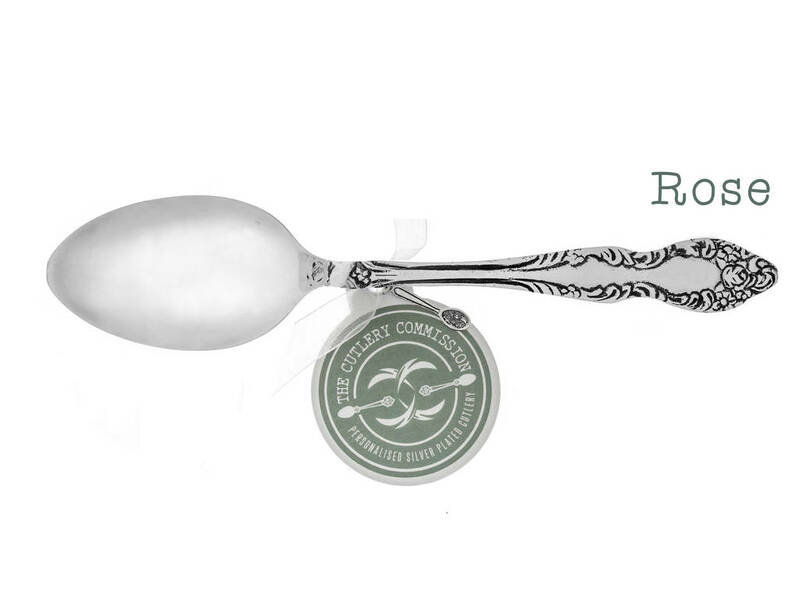 All of my cutlery is designed in house, inspired by classic antique British silverware. 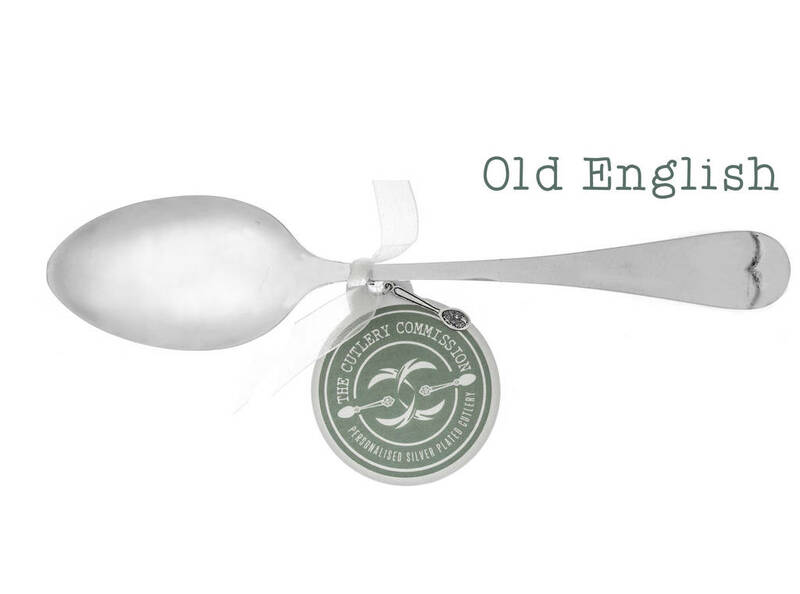 It is all silver plated and handcrafted exclusively for Spoon Queen, then personalised by hand in my workshop based in the Cotswolds. My hand stamped cutlery differs from engraved cutlery because I use traditional, industrial tools to indent every single letter into the silver plate itself. Therefore marks made during the personalisation process are expected and spacing and alignment of letters are not exact. 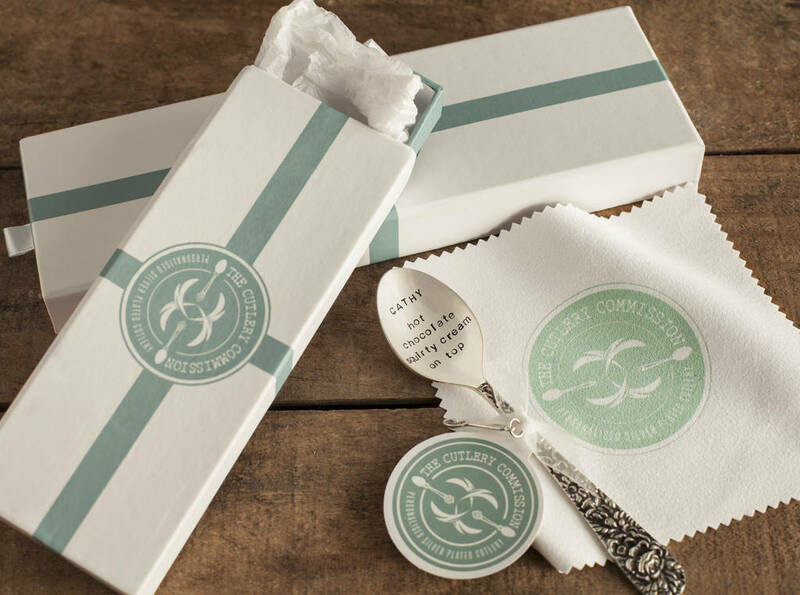 It all adds to the whimsical and charming look that makes your commissioned piece of cutlery such a unique gift. Each commission will arrive with a chiffon ribbon-tied branded tag, wrapped in my bespoke acid-free tissue paper and ready to be given as a gift...or kept for yourself! This product is dispatched to you by The Cutlery Commission.